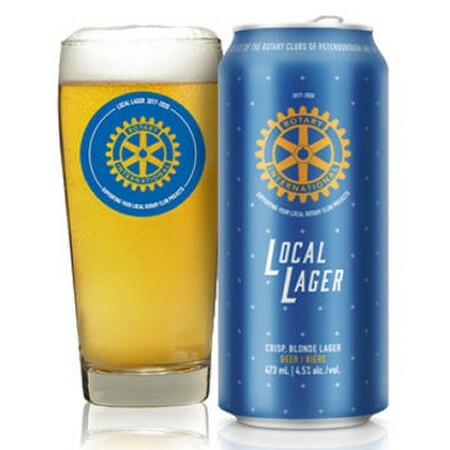 GUELPH, ON – Wellington Brewery has announced the release of a new beer that will support Rotary Clubs in two Ontario cities. As reported by Guelph Today, Local Lager is a 4.5% abv “crisp, refreshing blonde lager” that was created in partnership with the Rotary Club of Guelph and Rotary Club of Peterborough. Launched as a three-year project with the possibility to continue it further, the beer will be available at Beer Store locations in both cities, as well as directly from the brewery for Rotary events. 50 cents from each can sold will be donated to Rotary, with 10 cents allocated specifically to Rotary International water projects. For more details, see the full Guelph Today article.